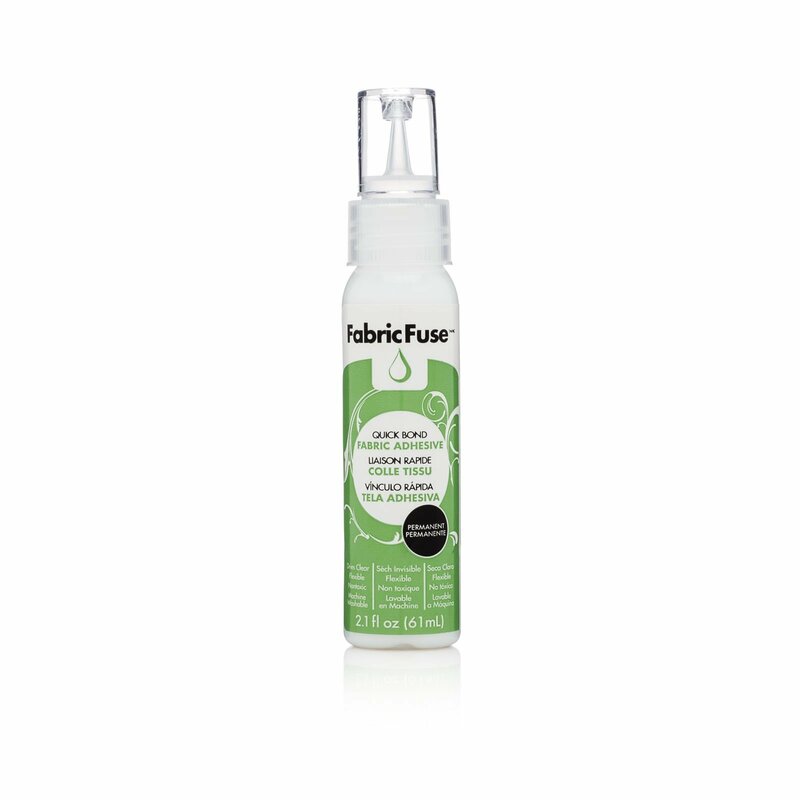 Fabric Fuse tm/mc Liquid Adhesive is a washable, permanent quick bond liquid adhesive that dries clear and remains flexible. For use on fabrics and embellishments. Machine washable and dryable, Dries Clear, Flexible, Quick STRONG bond, Permanent, Nontoxic, Perfect for hems and home décor! Great tool for Laura Heine's collage quilt patterns ! !